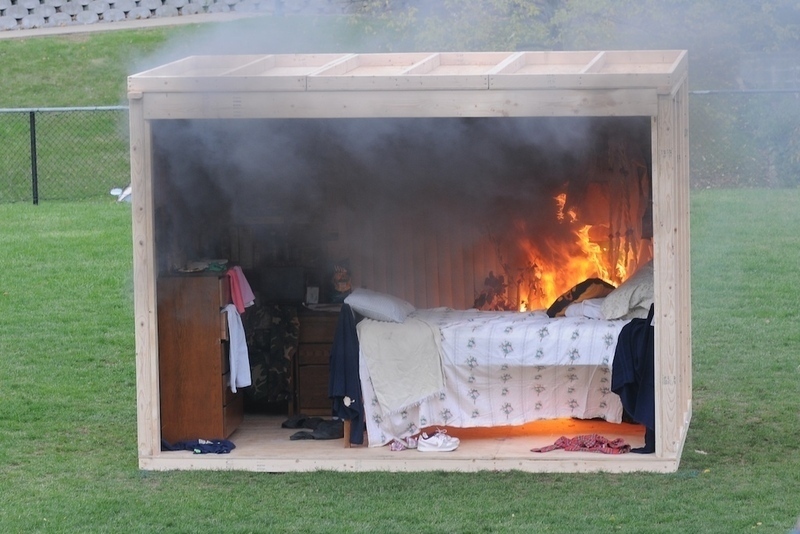 As part of the Emergency Awareness Day held by Carnegie Mellon Environmental Health and Safety (EHS), a mock dorm room was set on fire and extinguished by firefighters this afternoon on the Donner Ditch. 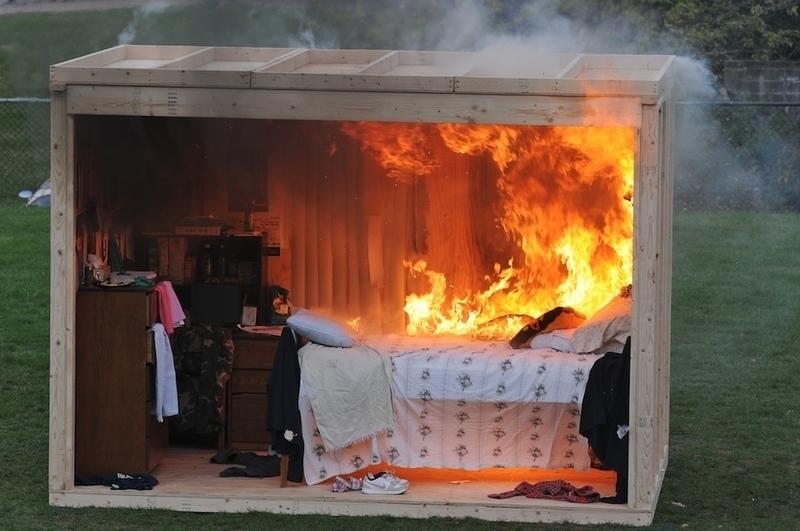 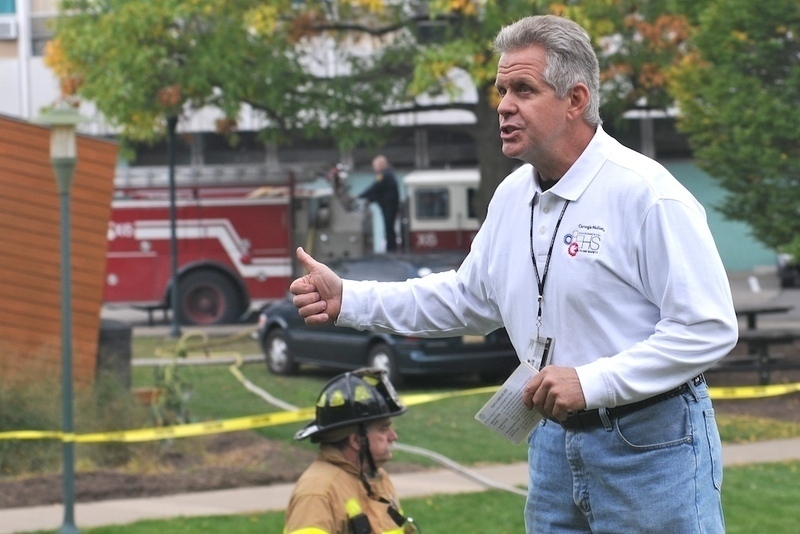 Rick Caruso, fire safety manager for EHS, was on site to explain the risks of fires in dorm housing situations and precautions to take to limit fire risks. 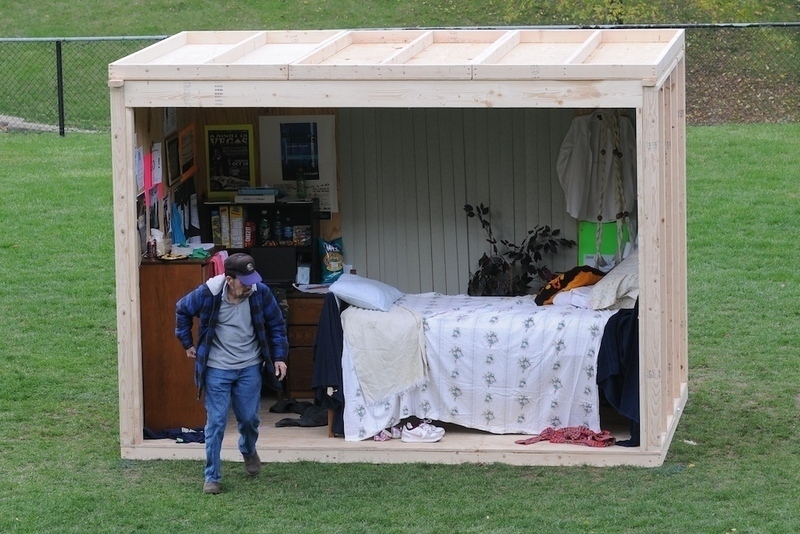 The room was constructed with one wall open to the air and filled with the furnishings one would find in a standard dorm room. 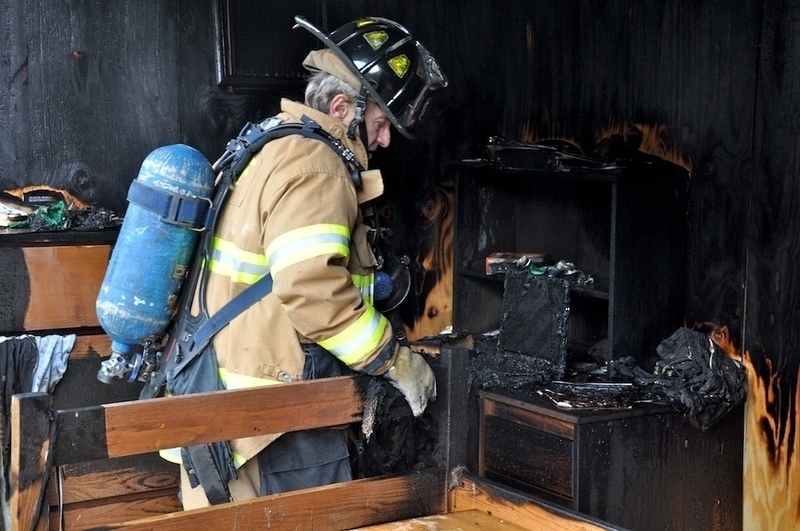 The fire was started by hand in a garbage can and quickly spread across the room. 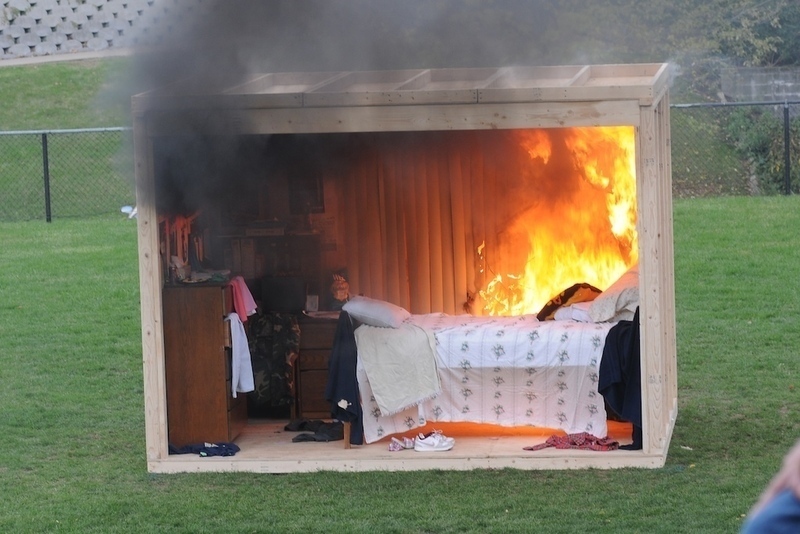 A ceiling-mounted smoke detector went off about 30 seconds after ignition, and after a minute had elapsed, flames engulfed the dorm room. 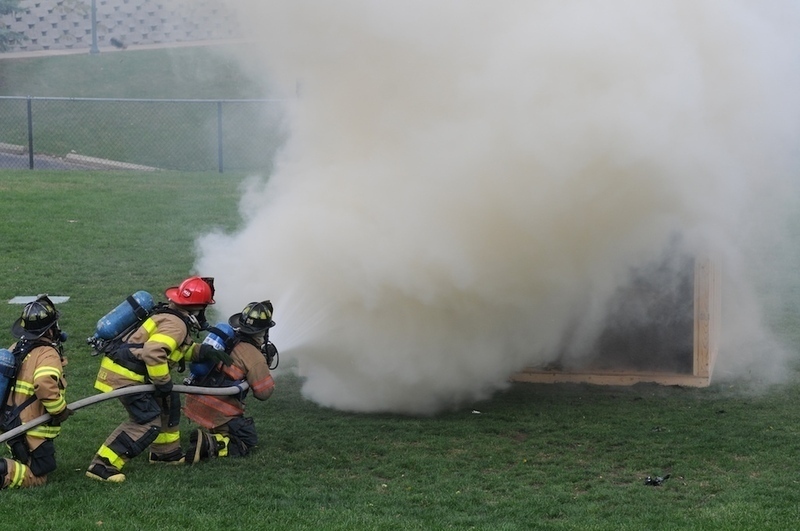 Three firefighters were on hand with a fire hose connected to their fire engine in the adjacent parking lot. 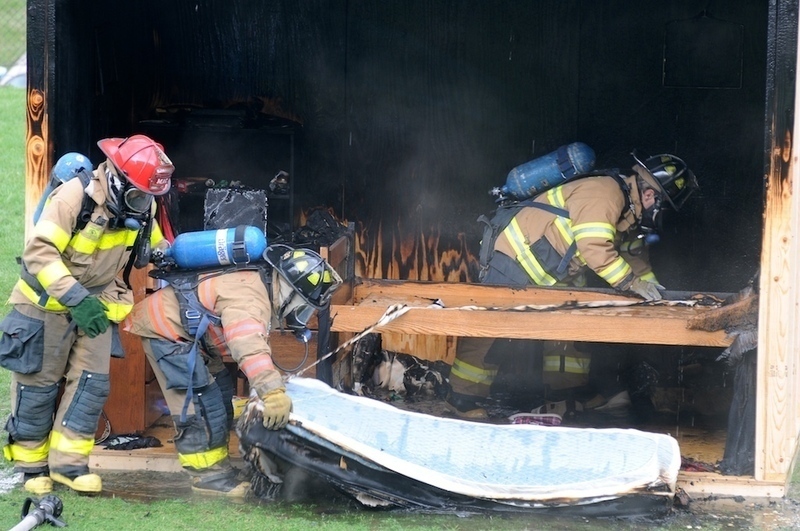 They began extinguishing the fire about two minutes after ignition and had it completely defeated within another few minutes. 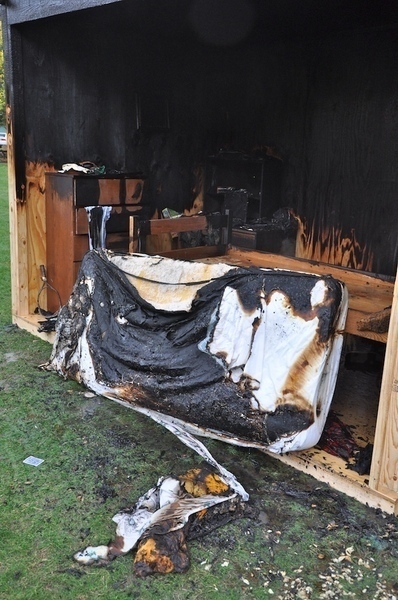 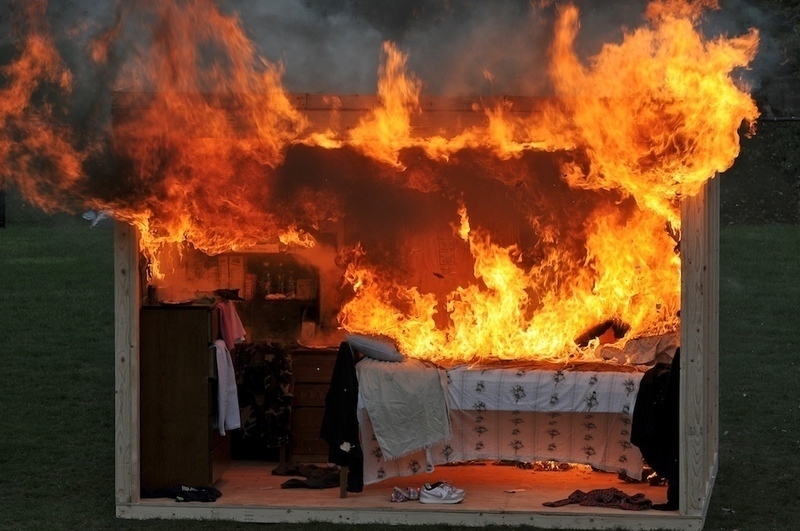 The fire had totally destroyed the room’s contents, including melting a laptop and charring a mattress. 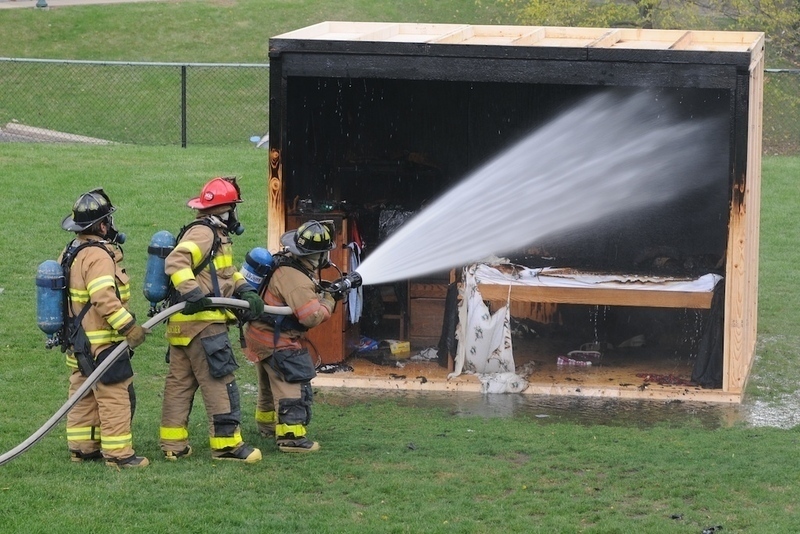 Other EHS events for their Emergency Awareness Day included a walk through a smoke-filled room, as well as AED and live fire extinguisher demonstrations.